I know, I know. It’s 22 Euros. (a little over $33 USD and that doesn’t include shipping.) 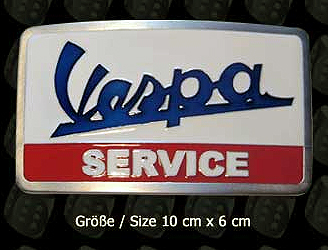 But this is one of the neater belt buckles I’ve seen and I don’t think I’ve ever seen a “Vespa Service” one. From Hannes in Germany – Thanks Hannes!